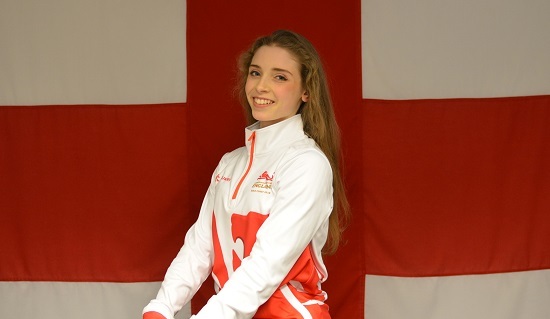 Mimi-Isabella Cesar (City of Birmingham), Stephani Sherlock (Esprit) and Hannah Martin (i-star Academy) have been selected to compete for Team England at the Gold Coast 2018 Commonwealth Games in April. 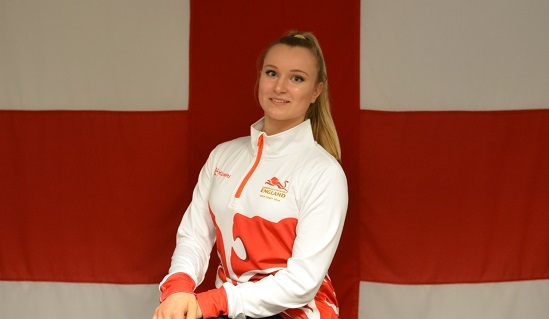 With 50 days to go until the Games in Australia, the three athletes will make up Team England's Rhythmic Gymnastics Squad that will compete at Coomera Indoor Sports Centre. Mimi Cesar and Stephani Sherlock will be returning to the Commonwealth Games stage after competing at Glasgow 2014, while Hannah Martin will be making her Team England debut in April. "It's so exciting to be able to tell everyone I have made the Gold Coast team and I can't wait to get out there and compete for Team England. I've been training really hard over the last 18 months with Gold Coast completely in the focus. I know that my time is now in my gymnastics career, it's been the best it's ever been and I know that I have the potential to bring home that medal." "I'm so excited, I can't wait to go out to Australia especially as I've always wanted to go to Australia so it's amazing to go as part of Team England and hopefully we can do really well and make everyone proud. I enjoyed Glasgow very much, I was very young, only 17 years old, it was my very first major competition and I can tell that Australia will be an amazing Games that will give me a lot of experience." "It's a real dream come true, it's something I've been dreaming for for a long time and I've worked so hard for it and I can't believe it's happened for me. I've learnt so much from Mimi and Stephani and I watched them in the Commonwealth Games last time and I was like that's where I want to go so I'm so happy I'm on the team with them because they are my inspriration. I just need to work really hard now and when I'm there it's all about showing my best and doing my country proud. I can't wait to experience the atmosphere and the pride of competing for my country is something I can't describe." Team England last won a Commonwealth Games medal in Rhythmic at Delhi 2010 with a Team All-Around Bronze. The three gymnasts will be competing across the four Rhythmic disciplines on the 11th, 12th and 13th April. Team England will send a team of around 600 athletes and staff in what will be England's largest ever team to represent the nation in an overseas sporting event. The team will compete in 18 sports, including 38 para medal events. "To welcome our Rhythmic Gymnastics team today gives me great pleasure. They make up an important part of our Gymnastics squad at Team England, and I look forward to working with them at Games time. 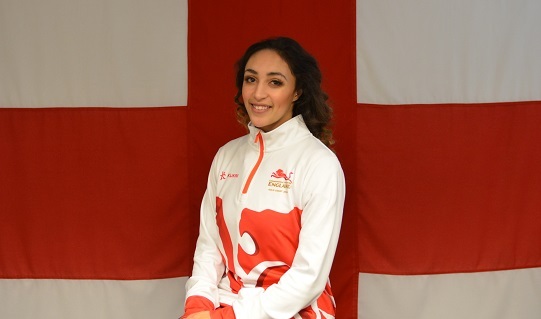 Mimi-Isabella Cesar has been one of Team England's Ambassadors going into the Games and I look forward to supporting her, Stephani Sherlock and Hannah Martin at Games time." "I'm really excited to see our Rhythmic gymnasts compete on the Gold Coast and I know they can't wait. They're a very talented group of gymnasts and have been working very hard on their performance. Mimi and Stephani had the experience of competing in Glasgow and Hannah will be making her Games debut at the age of just 15. We know that the Games will be extremely well organised and the whole team is really looking forward to going out and flying the flag for England." As part of its plans to send the best prepared team to the Gold Coast, Commonwealth Games England will hold a 10-day preparation camp in Brisbane, create a dedicated performance centre inside the Commonwealth Games Village, and offer a full programme of support services. Team England's preparation camp for the Gold Coast will include a number of specially selected high-performance sports and support facilities that will enable athletes to continue training and complete their final preparations prior to entering the Commonwealth Games Village. The dedicated performance centre will be at the heart of Team England's Headquarters inside the Commonwealth Games Village. It will provide an enhanced environment in the Village for athletes, coaches and support staff, where the team will have access to dedicated doctors, physios and a full range of clinical, rehabilitation, preparation services, kit, equipment, stretching and R&R areas.